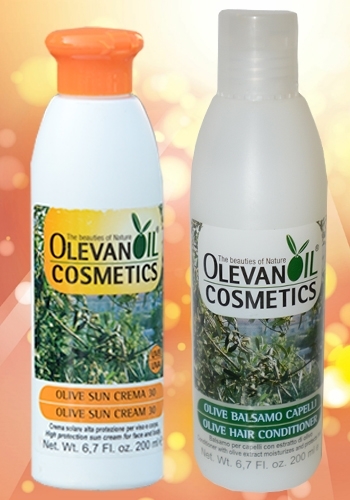 We've paired Olevanoil Cosmetics Olive Sun Cream SPF 30 and Olive Hair Conditioner for a Protect-Your-Beauty duo with pricing that will protect your wallet! Our sun cream is SPF 30, has a light yet luxurious texture and scent. Our conditioner nourishes and moisturizes dry, fragile hair, protecting it against external attack and leaving it soft, shiny and voluminous. Can be used on dry hair as a regenerative mask before cleansing with shampoo.